“Sustainable design” is no longer a boutique concept in the design and construction of buildings and related infrastructure. It is widely required by government agencies and is becoming more and more in demand by responsible private owners. 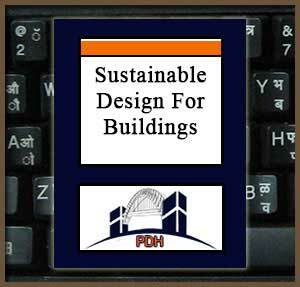 This webinar will tell you about the framework for applying sustainable design principles. You will learn the goals of each, opportunities you can use to pursue them, and resources that will help you reach them. When you have completed this seminar you will have a road map that will guide you in making sustainability an integral part of your management of building and infrastructure design and construction projects. 1. You will learn about the six principles of sustainable design: optimization of site potential, optimizing energy use, protection and conservation of water, selection and use of environmentally preferable products, enhancement of indoor environmental quality, and optimization of operations and maintenance practices.